The Land of the Long White Cloud, Aotearoa, Middle Earth – whatever you know this country by, moving to New Zealand is something we’ve all thought about. Now is a great time to make the move, as New Zealand has recently become a prime destination for immigrants from all over the world. 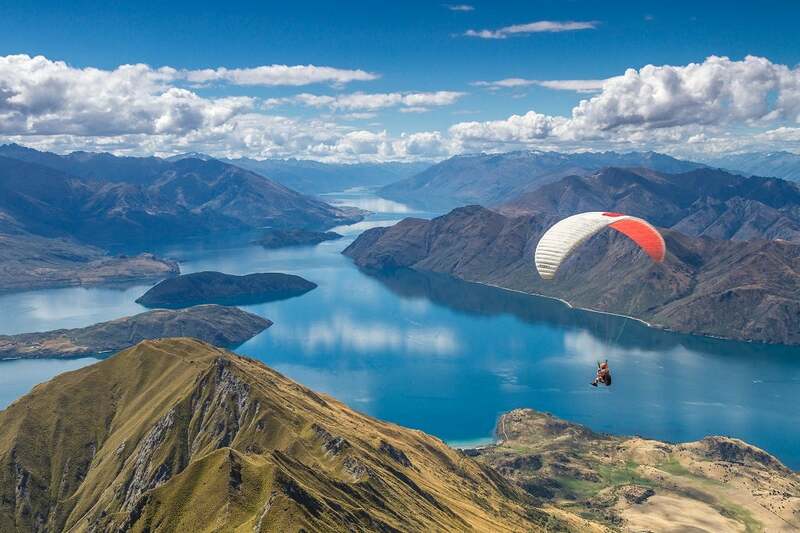 For those who enjoy an outdoor lifestyle, New Zealand offers unparalleled possibilities for discovering your inner adventurer. The country’s three major cities are all set in spectacular coastal locations where the verdant scenery gives way to the white-sand fringes of the Pacific. With beaches, watersports and a plethora of waterfront boulevards on your doorstep, you will be spoilt for choice when it comes to deciding how to while away a relaxing weekend in the sun. If you feel the need to escape the city, dramatic mountain ranges are just a drive away, a veritable paradise for climbers, skydivers and winter sports enthusiasts. Culture in New Zealand is largely influenced by the British heritage of the majority of the population – easily seen in the architecture -as well as by the Māori who make up about 15% of the population and provide traditional crafts, music and performance art. The nation is also sports mad: rugby and cricket are staples but the landscape also provides plenty of scope for more extreme pursuits from bungee jumping to whitewater rafting. Due a shrinking population in the ’80s and ’90s, the New Zealand government is very keen to attract skilled workers from overseas and, with professional qualifications in an in-demand industry, obtaining a residence visa is usually fairly straightforward. There are a number of options available to those seeking employment and/or the right to reside permanently in New Zealand. Sponsorship: If you have close family members who already live in New Zealand they may be able to sponsor you for residency so it is well worth exploring this possibility if you think you may be eligible. Skilled Migrant Visa: For most individuals, residency is usually dependent on a points system that takes into account your qualifications, experience and personal circumstances. The maximum number of points available is 140 but any application achieving 100 or more points may be considered. Work to Residence Visa: If you do not have enough points to qualify for a Skilled Migrant Visa, but have your heart set on relocating to New Zealand, all is not lost. A Work to Residence Visa may be an option if you can secure an offer of employment before you relocate, or it may be granted for a limited period to give you the opportunity to search for employment whilst already on New Zealand soil. Essential Skills Work Visa: If you are short on points but have sought-after skills under ANZSCO classifications you may apply for a temporary work visa. New Zealand has an effective public healthcare system, which provides residents with free hospital-based care and emergency treatment along with childhood immunisations and free prescriptions for the under sixes. Chronic or acute conditions are also generally paid for by the state. GP visits, prescription drugs, ambulance services, pregnancy healthcare, x-rays and lab tests are subsidised by a government-funded body called the Primary Health Organisation (PHO). While the quality of care is good, access to state-funded healthcare can be subject to delays, which is the main driving factor for increasing numbers of New Zealanders choosing to subscribe to a private healthcare scheme. Compared with other expat destinations, the cost of private healthcare is relatively low, and may also be included as part of your employment contract. If you are planning to work in New Zealand you will need to consider where to base yourself in order to benefit from the best opportunities to match your skill set. While New Zealand is still a major exporter of wool and lamb, its economy is much more diverse of late. It’s a renowned producer of wines, has a thriving tourism industry (thank you Lord of the Rings and The Hobbit), and produces nearly 60% of its electricity from renewables. New Zealand’s job market is buoyant, with opportunities in a wide range of sectors for New Zealanders and expats alike. In recent months almost every region has shown an increase in the number of jobs advertised. Wellington’s thriving arts scene offers plenty of employment in the music, film, TV and theatre sector, as well as in its burgeoning IT and technology sector and more traditional areas of commerce. Auckland is popular for those seeking work in the healthcare and banking sectors. Christchurch’s ongoing recovery from the earthquake damage it sustained in 2011 has created many opportunities for engineers, quantity surveyors, project managers and tradesmen working in the construction industry. A recent survey found some of the highest paid jobs in the country to be in the medical and healthcare fields, with an average salary of $145,596 per year. This was closely followed by the country’s booming IT sector, where average salaries are now over $120,000. At the bottom end of the scale the lowest paid jobs tend to be those in cleaning and catering services, with housekeeping work paying an average salary of $31,953 per year, receptionists earning an average of $34,423 and remuneration for kitchen staff standing at $44,013. Average salaries across all sectors range from $75,753 and $74,619 in Wellington and Auckland respectively to $60,959 in New Plymouth and $47,129 in Hurunui. Tipping: Only if you’re really pleased with the service. It’s not expected, and only common with tourists. Unusual fact: One third of the country is protected national park. Most New Zealanders aspire to owning their own property and the rate of home ownership is high across the country. Figures showed the national median house selling price to be $475,000, up from $430,000 – a significant increase reflecting the current strength of the New Zealand economy. Growth throughout the whole of the previous year was 7.9% nationally and higher in the major cities – 13% in Auckland, closely followed by Christchurch and Wellington. National median rental costs have remained the same for a year, currently standing at $360 per week for a three-bedroom house, though of course you will need to budget significantly more if you are planning on renting in Wellington, Auckland or Christchurch. This is good news if you are planning to rent when you first arrive in New Zealand, although it would be wise to keep an eye on the rising purchase prices to ensure that you do not find yourself priced out of the market. A shortage of homes in Christchurch following the earthquake damage of 2011 has pushed prices up in the city, but as more and more new homes are built to meet the demand it is likely that prices will stabilise here at least. Shipping your belongings to New Zealand is significantly cheaper than airfreight, and is the only cost-effective option if you are planning to transport the full contents of your home. You can choose to fill a 20ft or 40ft container yourself or transport your belongings in a shared one. On the whole the cost of living in New Zealand is relatively low compared to many other developed countries, although grocery prices can tend to be a little on the higher side due to the country’s low buying power and high rate of imports. Monthly utilities across the country are on average $174.56 for an 85m2 apartment and fitness club membership for an adult is in the region of $70. Of New Zealand’s major cities, overall living costs in Wellington are 5.44% higher than in Auckland and 16.53% higher than in Christchurch, making it the country’s most expensive city. On average a three-course meal for two at a mid-range restaurant will cost $90 while groceries cost in the region of $2.65 for a litre of milk, $2.55 for a loaf of bread, $3.64 for a kilo of apples and $14 for a bottle of mid-range wine. Education in New Zealand is amongst the best in the world, ranking as high as eighth in an OECD global comparison. The well-established state school system has been in place for more than a century and this is complemented by a range of partially funded and fully private schools. Pupils are generally guaranteed a place at their local state school in accordance with specific catchment zones, while other criteria such as academic selectivity or faith apply to fee-paying schools. Schooling in New Zealand begins at age five (Year 1) and continues until age 18 (Year 13). While there is some overlap depending on the type of school you choose, traditionally primary school runs until Year 8, with pupils entering secondary in Year 9. The school year runs from January to December, which is worth bearing in mind while planning the timing of your move abroad. New Zealand has eight universities and a number of higher education colleges and polytechnics. Domestic students’ undergraduate fees are subsidised and a student loan scheme is available for the remainder. For those in search of a more vocational qualification, polytechnic courses are a popular choice, with on-the-job training forming an integral part of the curriculum. Like most former British colonies, vehicles in New Zealand drive on the left-hand side of the road. Speed limits are marked in kilometres per hour, with limits in town normally 50 km/h rising to between 60 and 80 on the urban fringes and 100 km/h on most motorways. a medical certificate may also be requested. New Zealand is a popular destination for expats, particularly for retirees and those relocating with families in search of a better work/life balance. While many choose to live in the main hub cities of Wellington, Auckland and Christchurch, there are other popular options such as Queenstown, Keri Keri, Mata Mata, Nelson, Motueka, and Tauranga on the Bay on Plenty. New Zealand has long been a popular destination for expats in search of a new life of opportunity, and with its moderate climate, thriving economy and lower cost of living than many other leading nations it is easy to understand why. In a ranking of 86 of the world’s leading countries, New Zealand is currently stands in the top 10, ranking higher than countries such as the UK, Japan, South Africa, Italy, France, and Spain. In terms of pollution it is ranked as the fourth cleanest country, above Australia and with only Finland, Sweden and Estonia ahead. It also ranks highly for safety. In a recent survey of 2,000 British expats living in 12 different countries, New Zealand was rated highest in every category, with respondents citing its low average property prices, favourable taxation and healthy lifestyle as key factors. When it comes to choosing your destination, all New Zealand’s cities have plenty to offer, although Auckland perhaps has the edge according to a recent report, which voted it joint-third of all the world’s major cities for its quality of life.